collage, originally uploaded by jahansell. 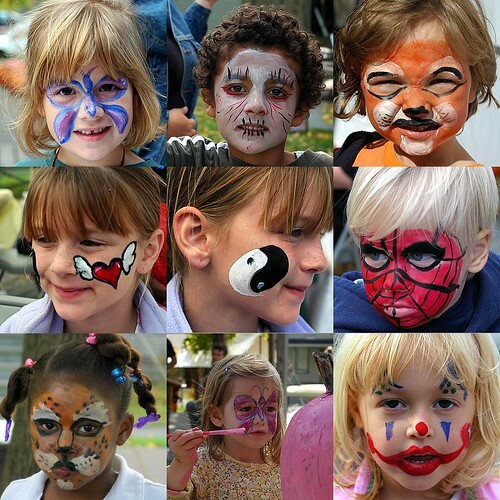 A few times a year I do face-painting at a kids event - this one was the North East Community Center's Fall Fun Day. My favorite - the sullen little spiderman. Me too! I can just imagine a line of them all waiting, stretching back right out of town. You ARE good at it, aren't you? Great collage. I like them ALL!